Posted on May 28, 2013 by Elizabeth E.
At the last post, we were in the bakery section of Bottega Louie and I had a big surprise for my sister Christine. 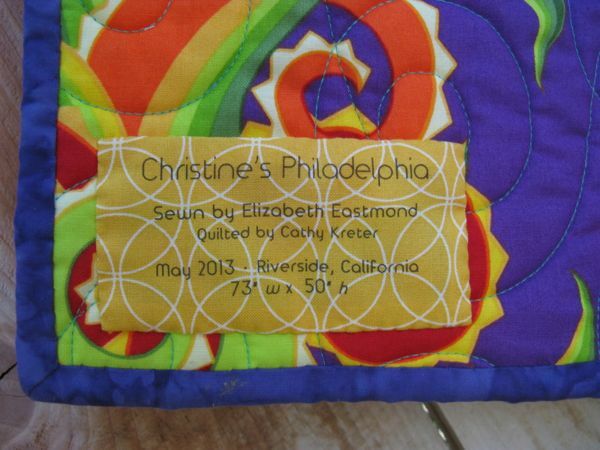 It was Christine’s Philadelphia, a quilt celebrating her life and her newly adopted city. She moved to a Philadelphia row house this past year, after ten years in transition. First, she raised all her children, then began a new section of her life as an artist, returning to school. Settling in to this life was not for long, as her husband died of cancer in a quick and wild two years. She went on a mission for our church to New York City, and resumed a friendship with Doug, who had also lost his wife. They married after her mission and she moved from the West Coast, where she’d spent most of her adult life, to the East Coast (Delaware), then finally to a lovely home in Philadelphia, within walking distance of art museums. She resumed her art, but one more mishap: while biking to her studio one evening, she was hit by a car, but has now mostly recovered from that accident. She is taking on new challenges all the time. So you can see why I wanted to make her a quilt. I had lots to cram into one tiny creation of mine. She was surprised. And I think, delighted. I’d been planning it and working on it for a few weeks, and when she came out for her son’s graduation, I knew I could give it to her then and see her face, and then mail it back later (which I’m doing). This was the sketch I made in QuiltPro. I knew that I wanted to alternate bold solids (for the roofs) with other patterns (for the houses). 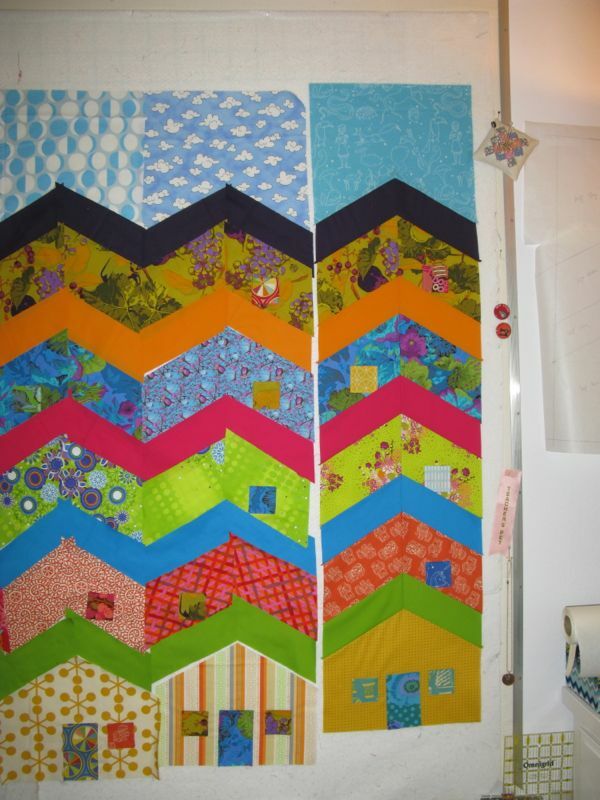 This was the quilt, all sewn and smoothed up on the pin wall. I think I was able to execute the vision I had fairly successfully. 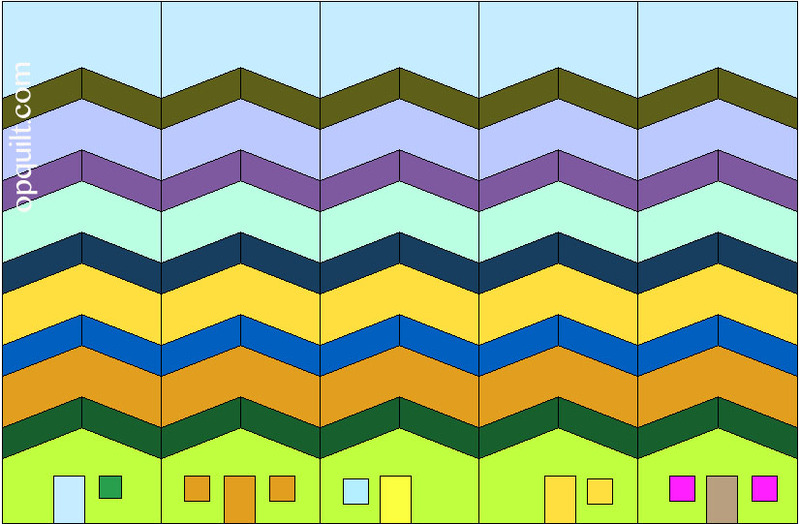 I also wanted to emphasize the chevron effect, but didn’t want a steep 45-degree angle on the roofs, instead I went with something more sloping (drawing my own pattern to get this done). 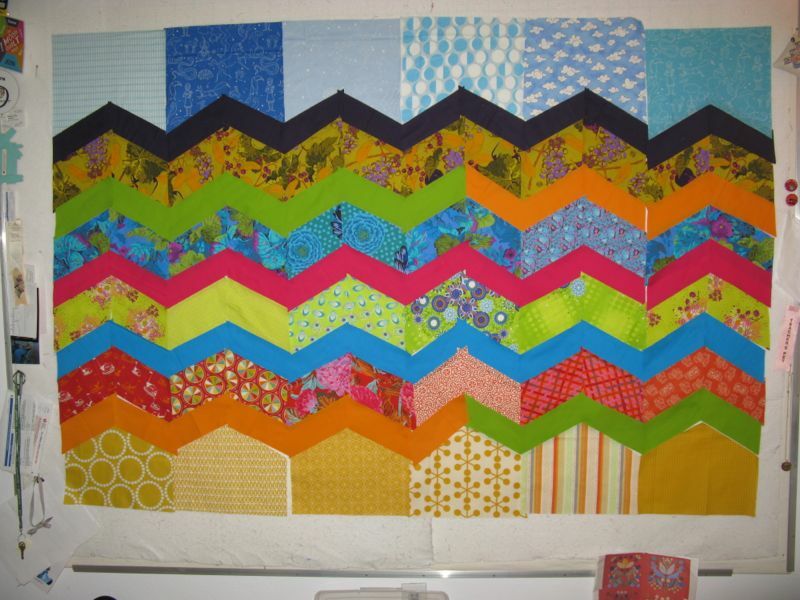 I often thought about making this just in solids, like the sketch, but I’m all about richness and texture in my quilts. This was the first pulling of fabrics. 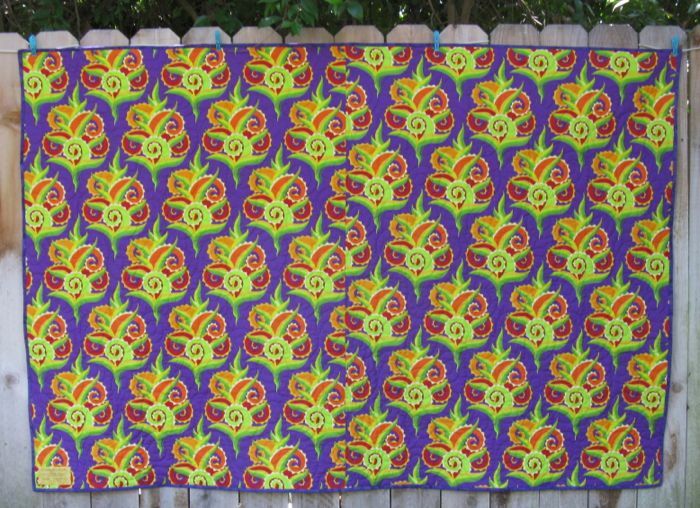 I was worried about mixing the moderns (used mostly for the houses and the row above, as well as the sky) with the densely colored, floral Kaffe Fassett fabrics. Swapping out roofs on the right side to see if I like the orange down on top of the yellows any better. I don’t. But I tried the whole row and added in the doors and windows. You’ll notice there’s a bold blue sky piece which disappeared in the final version. I keep trying to refine my design as I go, snapping a digital picture, evaluating, moving things around, and repeating the process. I am not a fan of when people say “Oh, I am working on this but I can’t show you.” Then just don’t show me. I hate keeping quilt secrets, but I had to keep it secret from my sister as it was a surprise, so I tried this sideways artsy shot on Instagram one day, hoping it would disguise the basic design. I didn’t want to put it anywhere on my blog since she’s a faithful reader. I formed the windows and doors over a piece of stiff paper (like what is in a calendar) so they would be all the same size, then topstitched them down. 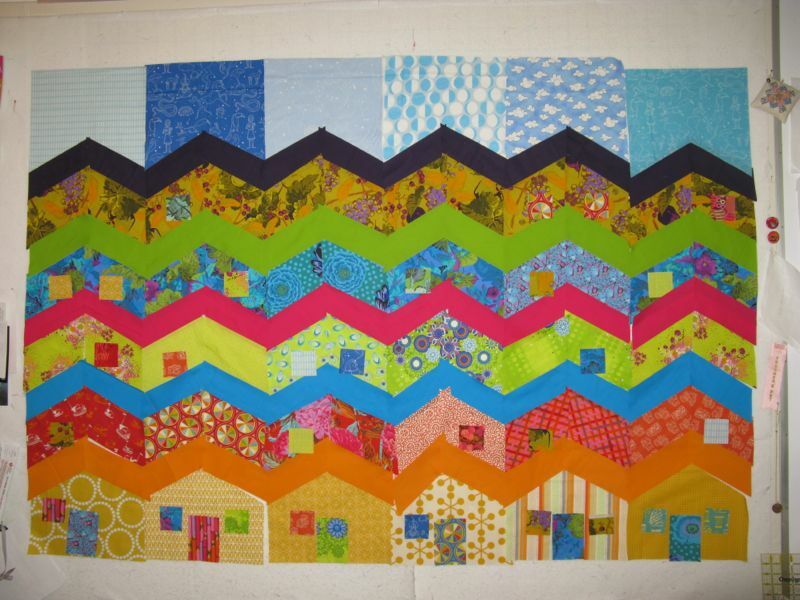 I sewed the narrow roof/house sections row by row; here’s one row lined up for stitching. Then I would add the house, then the sky. The “row” on the right is all done. 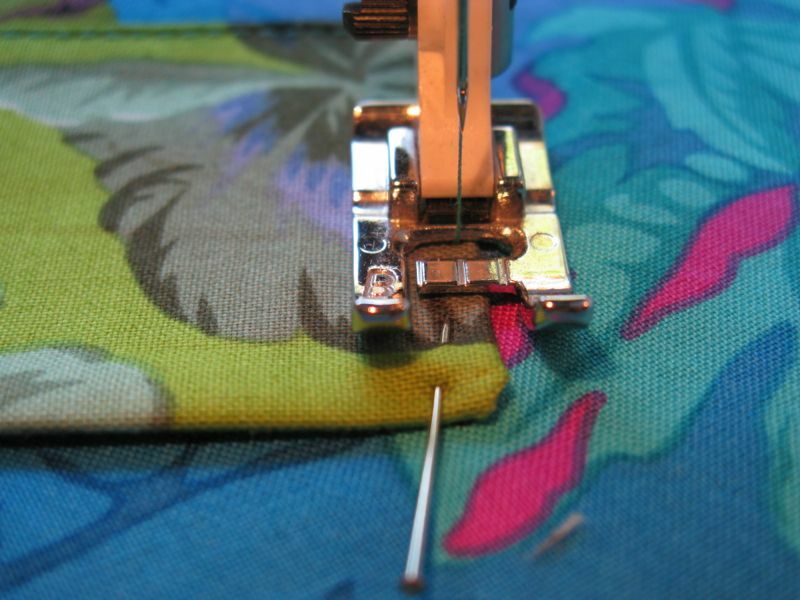 I’ll do another post on sewing those Y-seams, but later. I like this shot. It reminded me of the AMH feather block I’d done for my Mid-Century Modern Bee. I pressed the seams open — a rarity for me. I took it outside to photograph the top, and just by draping it over the fence, I could see how valuable that deep plum-colored roof was to the whole composition. 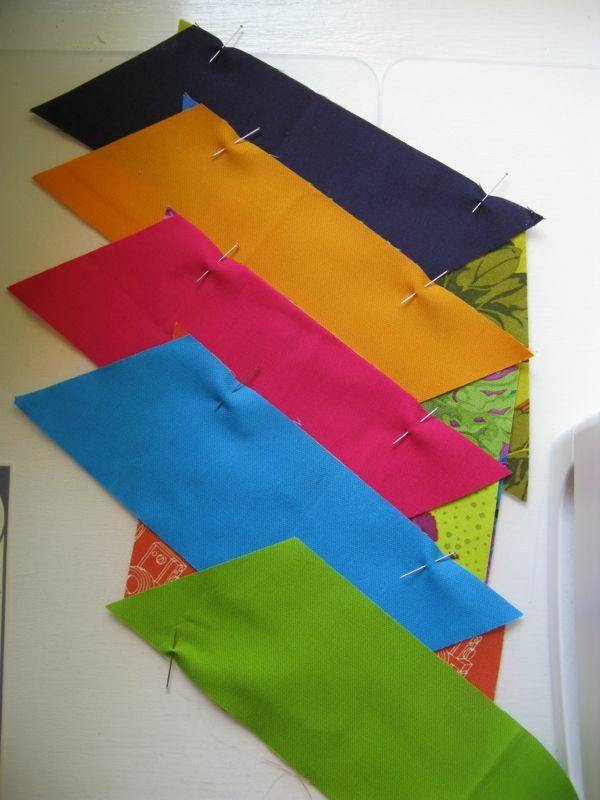 This partly influenced what color I chose for the binding. I rigged up a clothesline on my back fence to take photos, as my husband wasn’t home and I wanted to get it ready to go with us to the graduation. I used a Jane Sassaman for the backing (above), and my quilter was lickety-split on the quilting (thanks, Cathy!). I didn’t want the quilt label to stand out too much on that background, so printed it on yellow. Here we are again, in an uncropped photo. You can see all the bakery goodies in the background. When you sew on a quilt that is destined for someone, you spend a lot of time thinking about that person, in essence sending good vibes out into the universe for them, I think. I remembered the time she had mononucleosis when she was going to Stanford, and moved home (my dad was a professor there so we lived in the area). I was in high school at the time, and we shared a room while she convalesced. She hates it when I say this, but she has served as a great example for me and my other sisters, as all four of us are close together in age. All of my sisters are amazing. I am beyond lucky to be able to say this, and I know it. I made a quilt with Cynthia, made one for Susan, and now, with this one, they all have one of my quilts. And with each quilt, I send them my love. 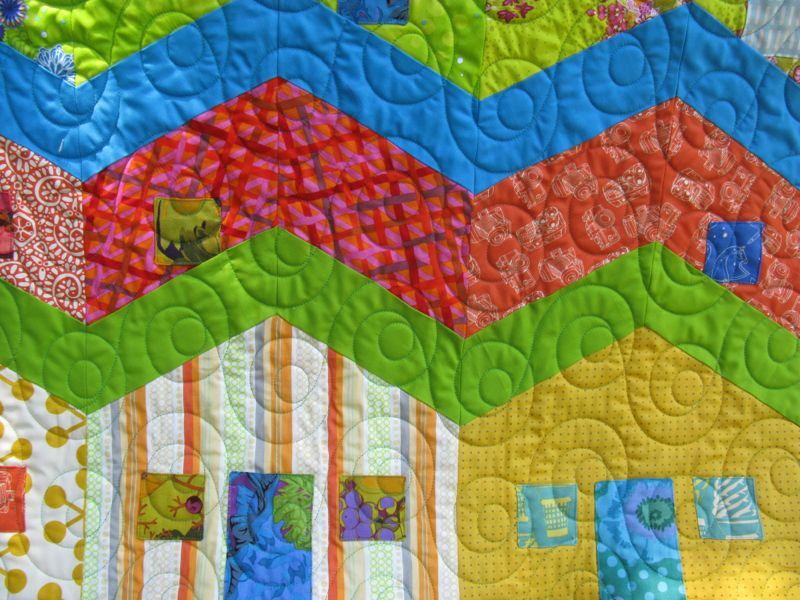 This is Quilt #115 of 200 quilts, and I’m publishing this post on my mother’s 85th birthday. Happy Birthday, Mom!! Wow; it is a piece of art! I agree with Betty; you should copyright and publish your pattern. Y our sister sounds like an amazing woman, full of strength and resilancy! Beautiful work! She will treasure it for sure. That is a beautiful quilt. 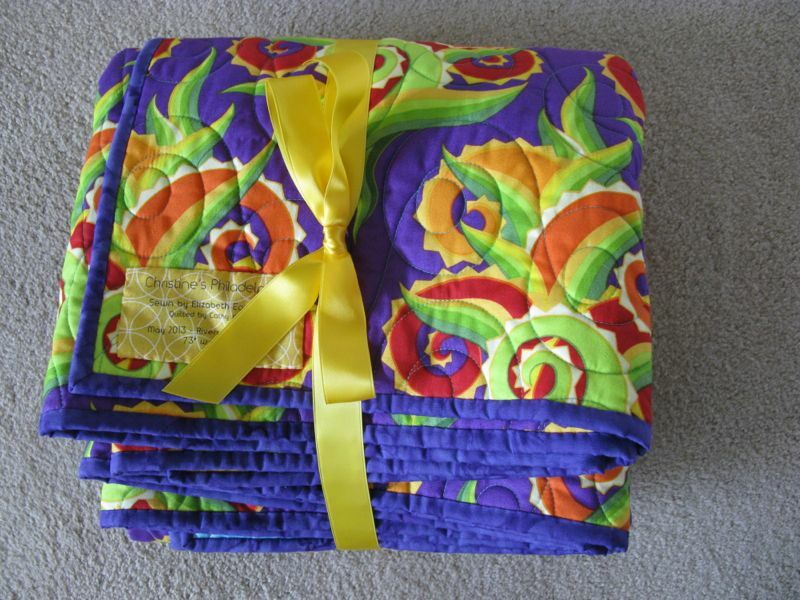 Thank you for sharing the story, I agree that she needs a quilt, she sounds like a wonderful sister. 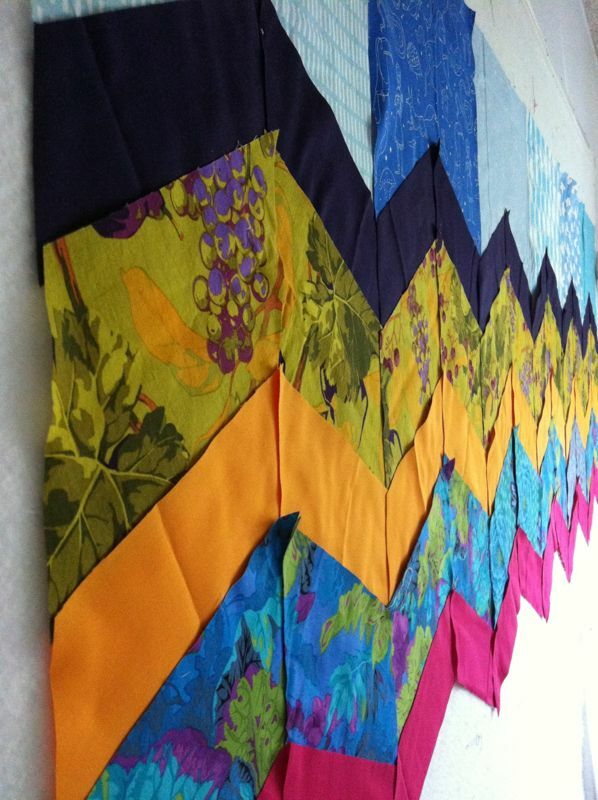 I enjoyed reading about your sister’s journey and seeing the quilt in the making. You are a clever one, Elizabeth….and a wonderful sister, I can tell! Such a lovely post. The fabrics work so well with the pattern. I love the houses! I really enjoyed reading about your process. The quilt is gorgeous. I also have 3 sisters, though we aren’t very close in age (the youngest turned 18 on Sunday), but they all have a quilt from me and I agree that the process of making something is a great opportunity to think about that person. 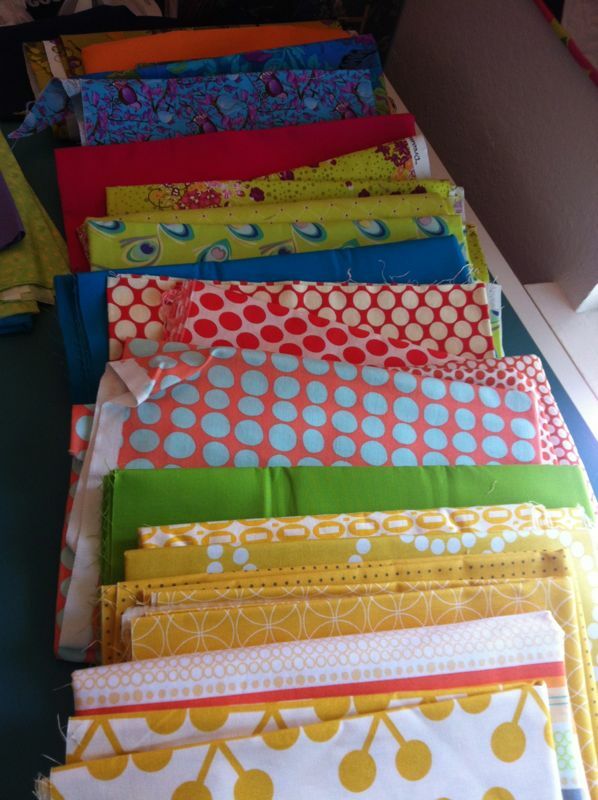 Making something with someone in mind is one of my favorite things about quilting. 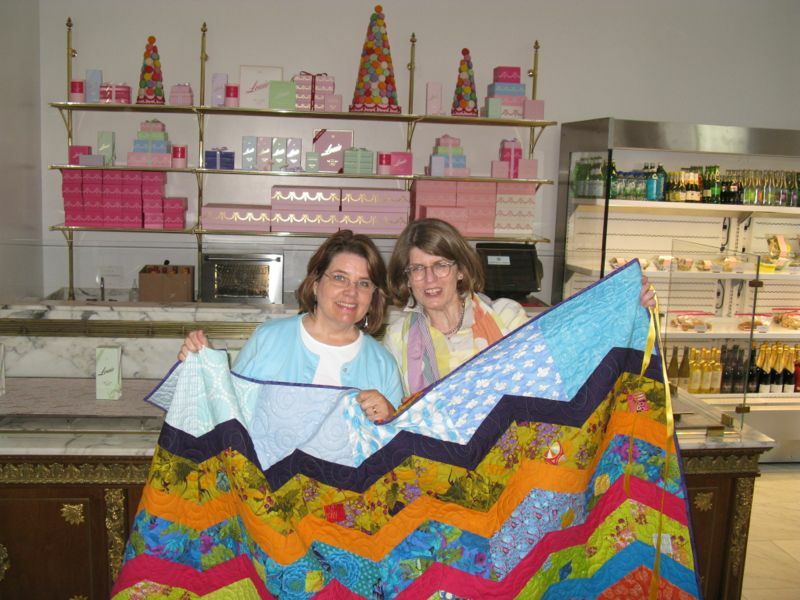 What a wonderful story and your quilt is fabulous. I love the row house concept and how you executed the idea with the little windows and doors added. Very fun and certainly very special. Your sisters are lucky to have quilts full of love made specially by you. Wonderful post, Elizabeth! 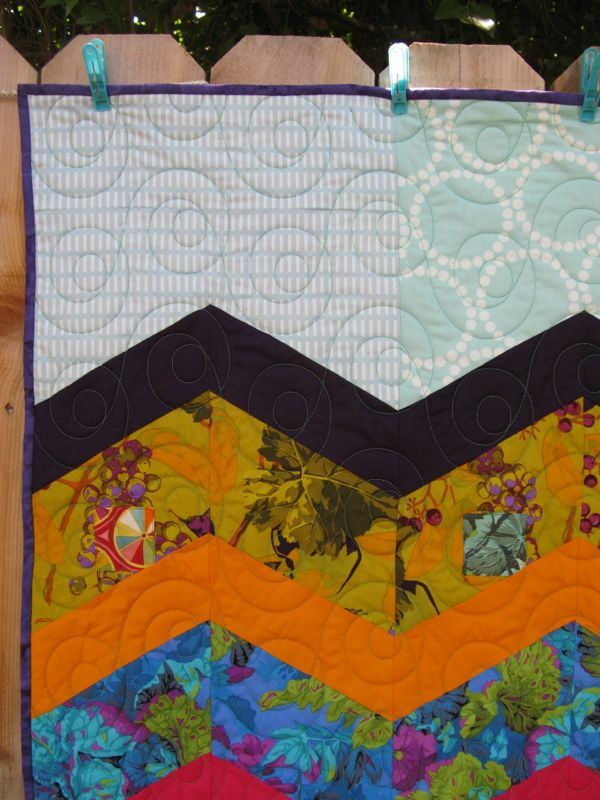 Such a clever quilt design, I love everything about it. I like how you go through the process step by step, it’s so great to read the details! What a great story! I too, have 3 sisters that I am VERY close to. The quilt is magnificent! How very special. Oh, just wonderful. 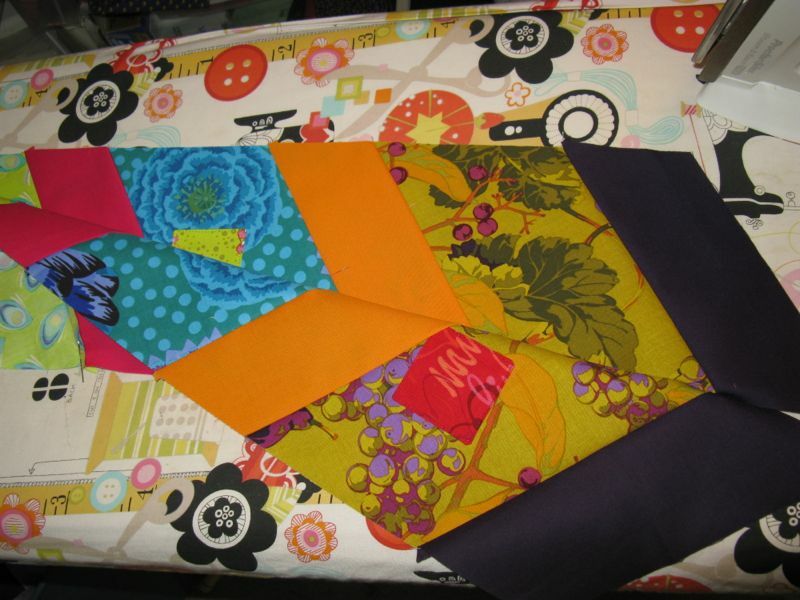 It is so special when you are making a specific quilt for someone. I love the houses ‘morphing into the overall design. Great job. What a neat quilt! The three most striking things to me are the necessity of the deep plum, the green belonging on the lower row of roofs, and that you got rid of the dark blue in the sky. 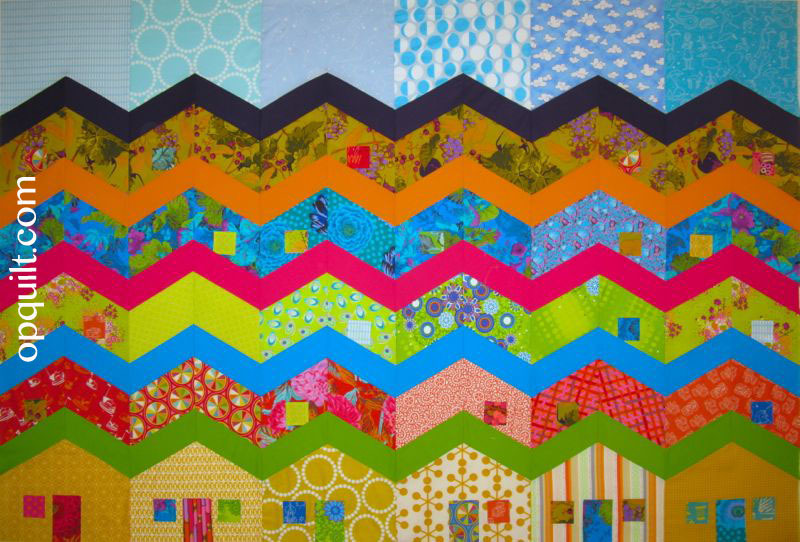 And although I love all solid quilts, I think your alternating solid and print was a good move to separate the rows of houses more. 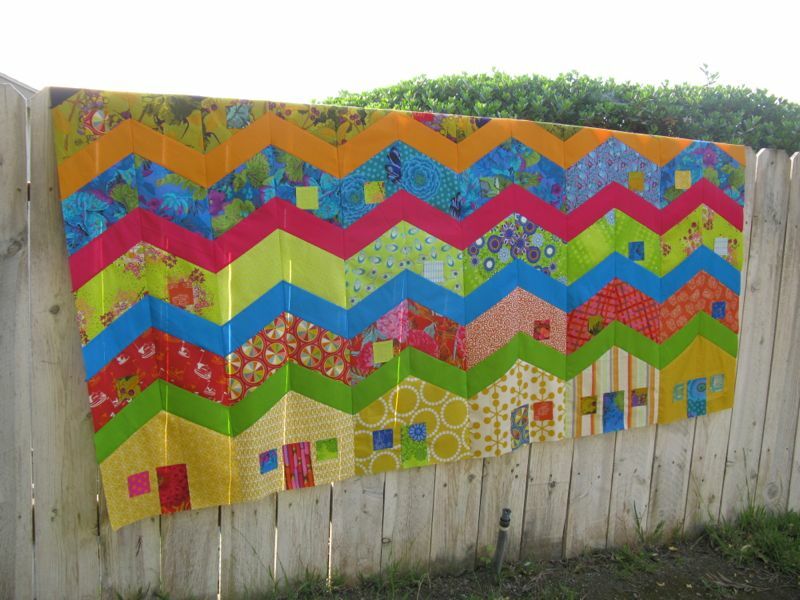 The quilt is just lovely and perfect for here. Happy birthday to your mom! 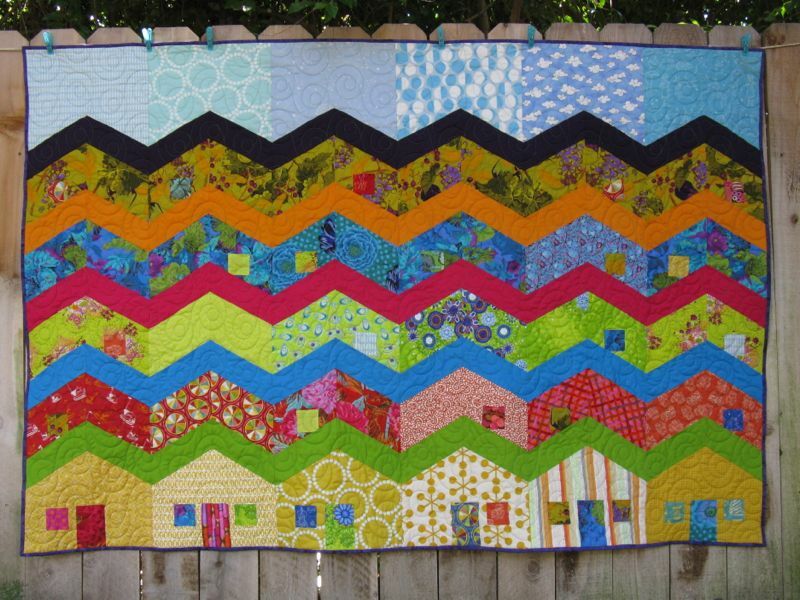 Wow – I have to say that is an amazing quilt. But I especially love the stories about your sister(s) – I have 2 who are also very special to me. I hope they know how lucky they are to have your for a sister – and an artist. 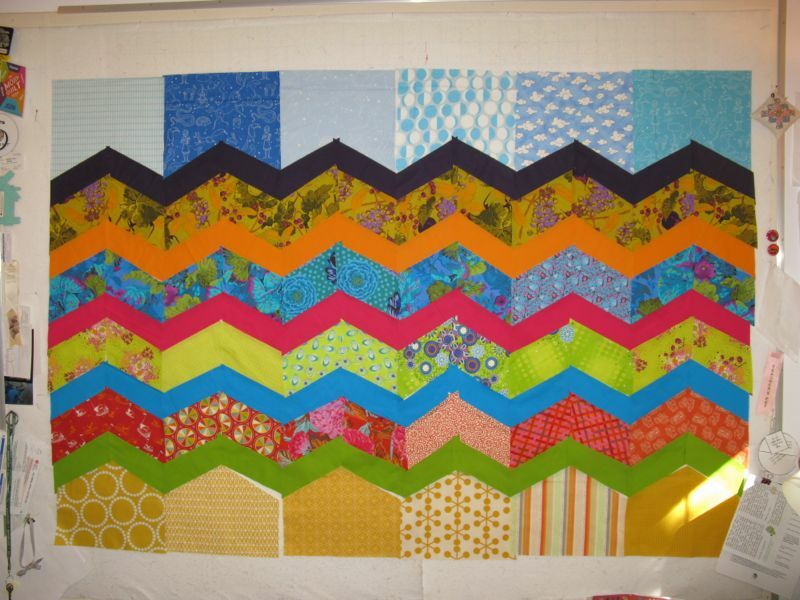 I think this is a perfect “sister” quilt. The zig and zag can represent the two personalities that come together to form a wonderful design. 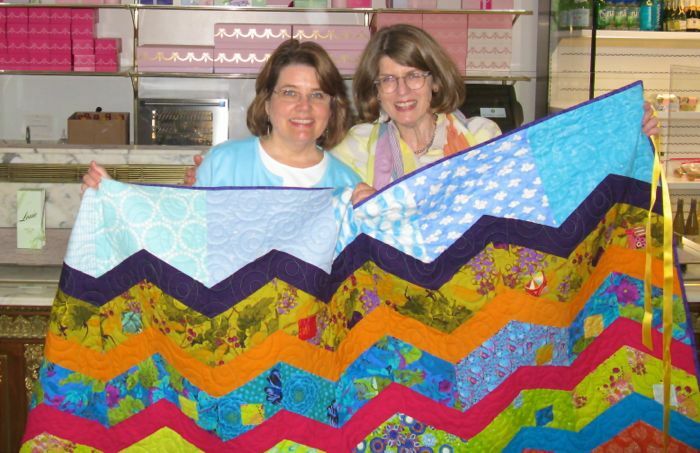 Lovely quilt, but even lovelier sisters! 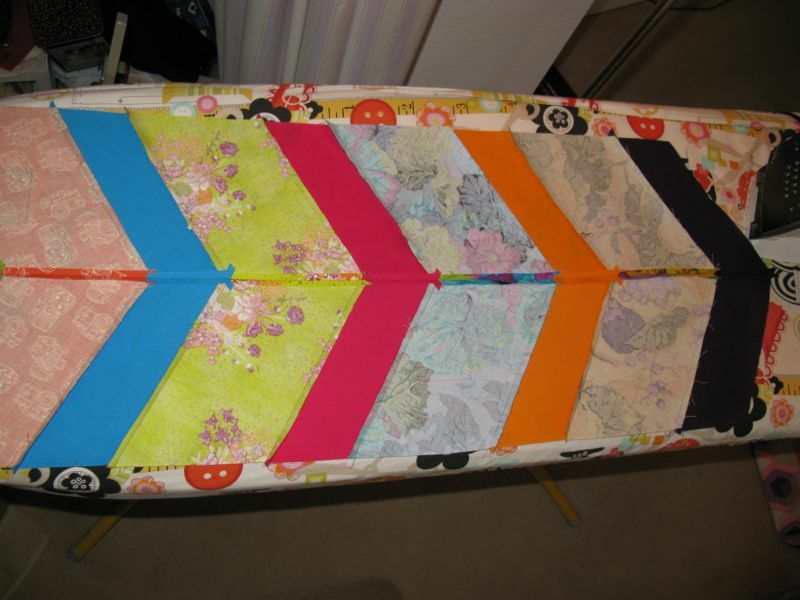 Pingback: Y-Seam Tutorial | OccasionalPiece--Quilt! 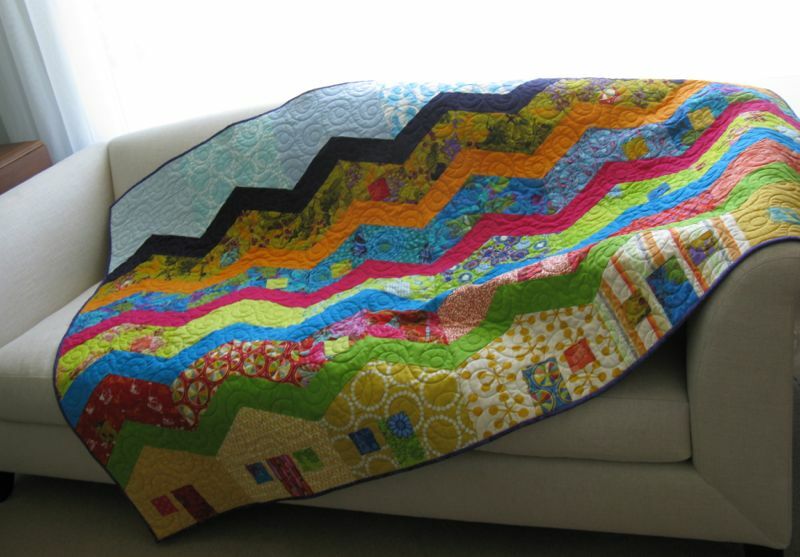 Pingback: Keeping the Brain Alive | OccasionalPiece--Quilt!